Description: Noa Briqualon was a Human male trader and mid-level scout who, after crashing his star cruiser on Endor, spent decades living as a hermit on the surface of the forested moon. The shipwreck occurred around the year 26 BBY, when Briqualon and his friend Salak Weet set out to chart the Moddell sector. When Weet left their crash site in search of a replacement for the ship's broken crystal oscillator, he was killed by a band of stranded Sanyassan Marauders; left to his own devices, Briqualon made a home for himself inside a hollowed-out tree. With a furry Teek named Teek as his only companion, he spent years repairing the crashed cruiser, which remained grounded without a functioning oscillator. In 3 ABY, Teek found the orphaned Human girl Cindel Towani and her Ewok friend Wicket Wystri Warrick, and welcomed them into Briqualon's home. The scout gruffly sent them away, but as the two children had no place to go, Briqualon reluctantly allowed them to sleep on his floor. He initially claimed that the invitation was for a single night, but on their third day with him, they followed him to the site of his star cruiser and prompted him to share his entire story. Briqualon grew protective of Towani and bonded with her in an almost grandfatherly way, and when she was kidnapped by the Sanyassan Marauders and taken to their castle stronghold the next morning, he immediately set out to rescue her. Briqualon, Warrick, and Teek infiltrated the castle and rescued both Towani and a group of her Ewok friends. They also retrieved the crystal oscillator from Towani's own star cruiser, which the Marauders had stolen after killing the girl's family. 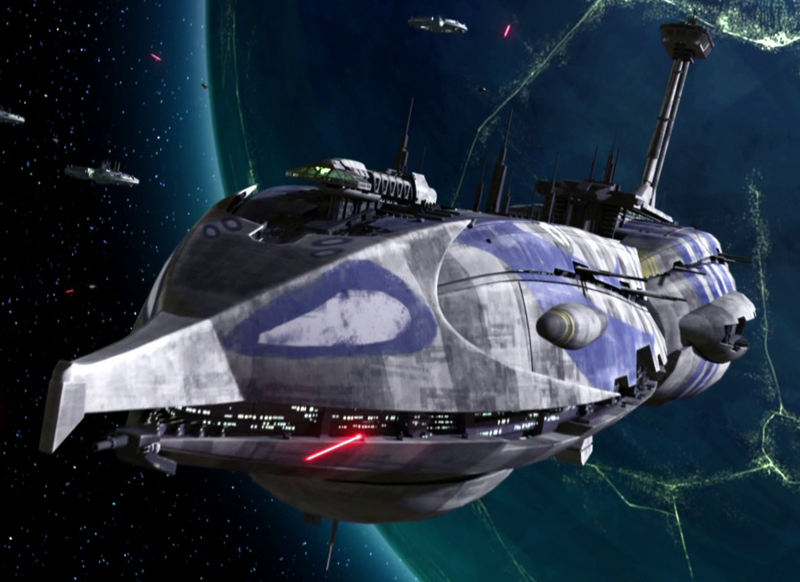 Returning to the site of his crashed ship, Briqualon used the oscillator to power up the cruiser while the Ewoks held off the pursuing Marauders. He was forced to duel the sword-wielding Marauder King Terak with only a walking stick, but the fight ended when Terak was burned to death by the power of a magic ring he wore around his neck. With the star cruiser finally operational, Briqualon and Towani left Endor, and the old scout eventually retired in the galaxy's Mid Rim. As young men, Noa Briqualon and Salak Weet set out on their journey with the intention of "tearing up the galaxy." 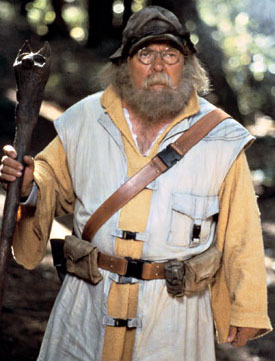 When Weet disappeared on Endor, Briqualon lived as a hermit for decades, with Teek as his only companion. The scout came to love Teek and was sad to leave him behind when he finally departed from Endor. Despite Teek's companionship, Briqualon grew lonesome over the long years and lost track of time as it passed. Nevertheless, he reacted with hostility when Cindel Towani and Wicket Wystri Warrick showed up at his hut and sent them out into the night, indifferent toward the fact that they had nowhere else to go. Although he was reluctant to make new friends after so many years on his own, he quickly softened up and brought them inside under the pretense that the fire they had built was unsafe. Despite being a gruff old man, Briqualon had a kind heart, which began to shine through when he comforted Towani after she had a nightmare. When he brought home sleeping mats for Towani and Warrick, he was disappointed to find them gone, but he maintained his gruff and unwelcoming facade by telling Teek that he was relieved. Partly due to Teek's urgings, Briqualon eventually allowed the children to permanently stay with him. He grew protective of Towani after bonding with her in an almost grandfatherly way, and his comfort helped her deal with the recent deaths of her family. Towani in turn helped Briqualon finally come to terms with Weet's death. Warrick, however, the scout merely tolerated, but by the time he left Endor, Briqualon considered the Ewok a fine warrior whom he was proud to know. When Towani was captured by Charal, Briqualon immediately stormed Terak's Keep to rescue her. When she was later captured by Terak, the old scout attacked the sword-wielding Marauder King while armed with only a walking stick. Prior to Terak's attack, Briqualon assumed command of his Ewok troops and directed them to their various defensive positions. He additionally had some skill in starship repair. In 3 ABY, Briqualon had brown hair shot through with gray, and although his head was balding, he sported a long beard. He also had light skin and brown, piercing eyes behind a pair of spectacles. His belly was ample and he dressed in simple robes. 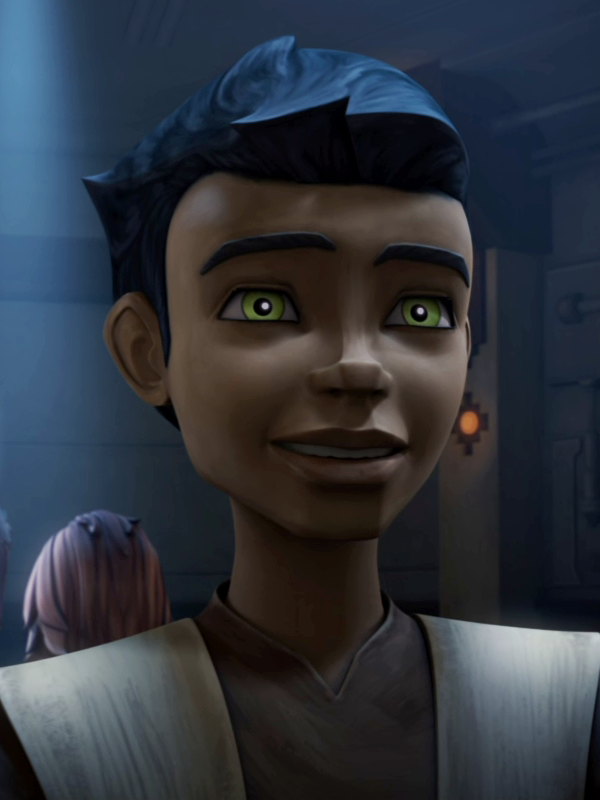 Noa Briqualon was a young Human male who worked as a mid-level scout during the final decades of the Galactic Republic. He spent years in the profession and additionally worked as a trader at some point. Shortly before 26 BBY, Briqualon teamed up with his friend Salak Weet and set out to chart the Moddell sector. 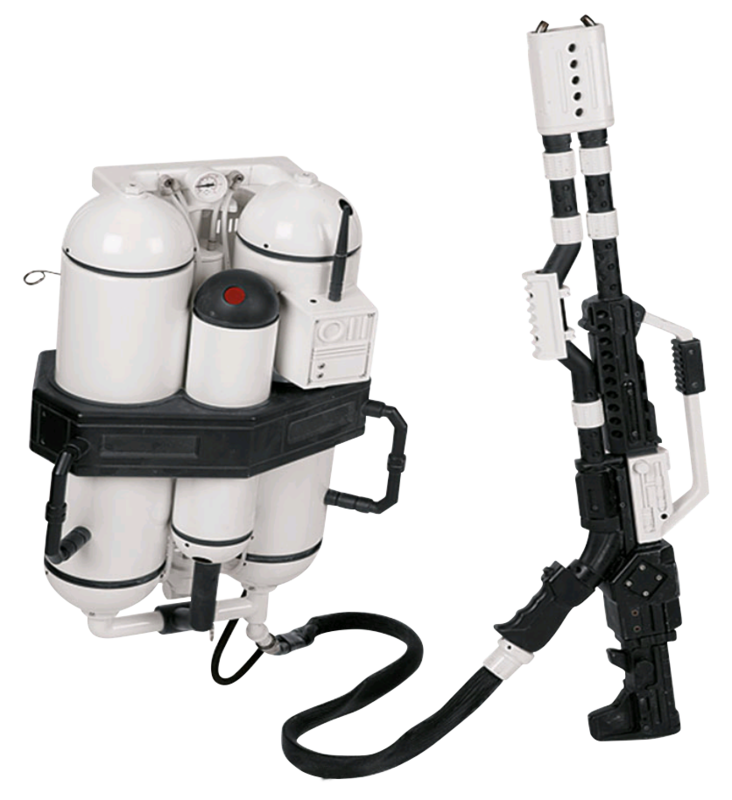 On their maiden voyage, the two explorers reached the sector's Monsua Nebula and broadcast a responder signal, but their star cruiser soon afterward crashed on the moon Endor. The cruiser was just one of many ships that had been claimed by the moon throughout the millennia due to interference caused by nearby stellar debris and gravity shadows. With a damaged crystal oscillator, the star cruiser was inoperable, and the two explorers hid their vessel beneath a layer of the forested moon's foliage before enacting repairs. Eventually, Weet left on a hunt for a replacement oscillator, but Briqualon remained with the ship. Briqualon never saw his friend alive again, as Weet was captured by a band of Sanyassan Marauders who were themselves stranded on the moon. When Weet told them of his star cruiser's ability to travel through space, he was killed by the Marauders' King Terak, who desired the "power of the stars" for himself. Although Briqualon came to realize that Weet would never return, he refused to admit it to himself. He carved a hut from a hollowed-out tree and turned it into a home. At some point, he befriended a furry Teek known only as "Teek," who came to live with him as his sole companion. Briqualon frequently traveled to the site of the crashed star cruiser to continue his repairs, but the ship was unable to fly without a functioning oscillator. He protected the area with booby traps and did not allow even Teek to follow him there. Meanwhile, Weet's father organized a massive search-and-rescue effort for the two lost explorers, but he was forced to file for bankruptcy and abandon the project in 22 BBY after four fruitless years. Briqualon and Teek spent decades living in their home, and the scout eventually lost track of how long he had been stranded on Endor. One day in the latter half of 3 ABY, he returned home from his star cruiser and found two visitors in his hut—Teek had brought home the young Human girl Cindel Towani and her Ewok friend, Wicket Wystri Warrick. Briqualon reacted angrily and kicked the new arrivals out; with no place to go, they parked themselves on a log outside the hut. A grumbling Briqualon finished cooking the dinner they had begun to make, and he instructed Teek to not give any food to Towani and Warrick. However, when Teek used his lightning-fast speed to rush outside and hand the children some muffins, Briqualon observed through a window and held his tongue when Teek returned. Towani and Warrick soon built a fire, and Briqualon brought them inside, asserting that the fire was unsafe. Both children went to sleep on the floor, but when Towani woke up screaming from a nightmare, Briqualon gave up his own bed. Briqualon left for his star cruiser in the morning after instructing Warrick to go on his way. The scout nevertheless put together two child-sized sleeping mats while he was out, and was disappointed to arrive home and find that his guests were gone. However, the children soon returned from a flower-picking jaunt, and Briqualon helped them use the flowers to bake a pie. After dinner, he tucked them into their new beds and let them stay another night. In the morning, he told them to make themselves useful by cleaning the hut; instead, the curious children followed him to the star cruiser. Briqualon was alerted to their presence when an alarm sounded inside the ship, and he helped an upside-down Warrick out of a snare trap before reluctantly bringing both children aboard the cruiser. With all of his barriers broken down, the scout told the children his story and finally admitted to himself that Weet was not coming back. Towani's family had similarly been murdered by the Marauders, and Briqualon invited her and Warrick to permanently stay with him. Back at the hut, he entertained his new companions with a song played on a flute. Towani happily danced along, but she soon grew dejected over the loss of her family, and Briqualon comforted her. The next morning, Warrick awoke Briqualon and announced that Towani was missing. When the scout went searching for her, he and Warrick came across Towani being carried away on the stallion of the Human woman Charal, an associate of King Terak's. 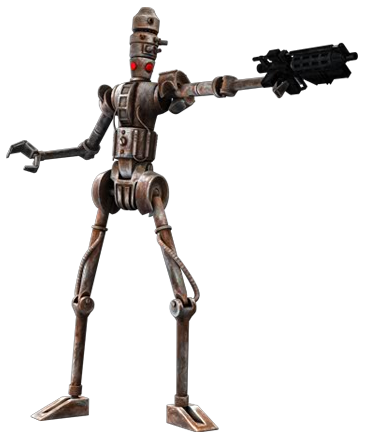 Briqualon immediately returned to his hut to retrieve a blaster pistol, an ascension gun, and some thermal detonators. Along with Warrick and Teek, he set out after Towani. The trio followed Charal's trail to Terak's Keep, the Sanyassan Marauders' castle stronghold in the Dragon's Pelt savanna. Rather than swim through the black waters of the moat, Briqualon fired his ascension gun's grappling hook at the top of a curtain wall. He was the last to climb the rope, and his ascent was sped up when Warrick tied the rope's other end around the ankle of a Sanyassan guard and pushed him into the moat. Sneaking through the castle, the three came to King Terak's throne room, which was filled with dining Marauders. After Teek darted in to retrieve some robes, Briqualon donned the apparel and placed Warrick on his shoulders. Teek hung close behind the scout's legs, and the disguised trio shuffled past the unassuming Marauders. Their next stop was the dungeon, where two guards sat engrossed in a card game. Briqualon tasked Teek with retrieving the keys from one guard, and the stealthy Teek also succeeded in slipping a card up the guard's sleeve. When the other Marauder spotted it, an argument ensued that ended with both men shooting each other in the chest. Briqualon used the keys to free the imprisoned Towani and a group of her Ewok friends, all of whom had been captured when the Marauders had raided their village and killed Towani's family. Warrick and his father, Deej, grabbed the downed guards' blasters as the group attempted to escape, but an encounter with a guard in the corridor forced them back into the dungeon. As Wicket and Deej Warrick covered him, Briqualon set a thermal detonator and blew a hole in the dungeon wall. He then tossed his grappling hook at a monolith that stood outside the castle, and as the Ewoks swung to safety, Towani directed Briqualon's attention to the skeleton of Weet, which hung on the dungeon wall. When she revealed that Weet had been killed for the "power thing," Briqualon spotted the crystal oscillator from the Towanis' star cruiser. It had been taken in the Ewok village raid, and a naive Charal had kidnapped Towani with the hope that the young girl could use it to magically grant the Marauders spaceflight. Briqualon snatched it up, and after everyone had escaped, he led them in a rush back to his ship. Guided by Charal, who had used a magical ring to metamorphose into a raven, the Marauders followed closely behind. At the site of his star cruiser, Briqualon put Warrick in charge of using his traps to hold off the Marauders. He then brought Towani and four other Ewoks aboard to help him install the oscillator, which he hoped would allow the cruiser to fly. After several failed attempts, Briqualon got the ship powered up, while Teek and the Ewoks did battle with the Marauders using Briqualon's traps and their own crude weapons. With power restored, the scout manned one of the star cruiser's quad laser cannons and began to fire at his enemies. Overwhelmed by the defense, all of the Marauders fled save Terak, who grabbed Towani after she rushed outside to free Warrick from a trap. Terak sent Wicket and Deej Warrick into the cruiser to demand a trade: "the power" in exchange for Towani's safety. Briqualon brought the oscillator out to Terak with an alternative proposal—if he let Towani go, Briqualon would fight him for the oscillator. The King obliged, and the scout attacked his foe with his walking stick. Terak wielded a sword and quickly gained the upper hand in the duel; however, when he knocked Briqualon to the ground, Teek intervened by jumping onto Terak's head. When the King shook him loose and continued to attack a defenseless Briqualon, Warrick desperately used a sling to fire a stone at Terak. It struck Charal's ring, hanging on a cord around the King's neck, and the broken ring unleashed its energy and burned Terak to death where he stood. In the battle's aftermath, Briqualon offered to bring Towani with him when he left Endor on his now-functional star cruiser, and she agreed. It took several days to finish preparing the ship. As the two prepared to lift off, Teek and the Ewoks gathered outside. Briqualon said emotional goodbyes to both Warrick and Teek, and after Towani said her own farewell to Warrick, the star cruiser blasted off and departed Endor. Briqualon and Towani traveled the stars for some time, and the scout eventually retired in the galaxy's Mid Rim. Meanwhile, Towani moved to the galactic capital world of Coruscant and started a new life as a journalist.